This is my newest 'project'. I am so glad I read that someone got stuff from Ikea. I am from CO, where there is no Ikea, so I always kind of forget it exists! But I went to the site, and I'm going in a couple of weeks to get these!! I'll use the votives (only 49 cents each!) 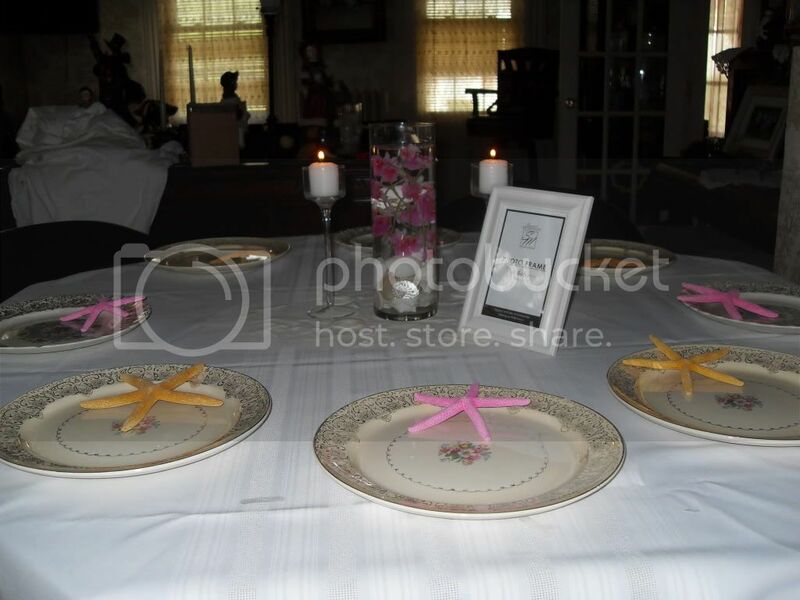 throughout, and the taller vases w/ water and floating candles (orange and pink, $1.99 each). 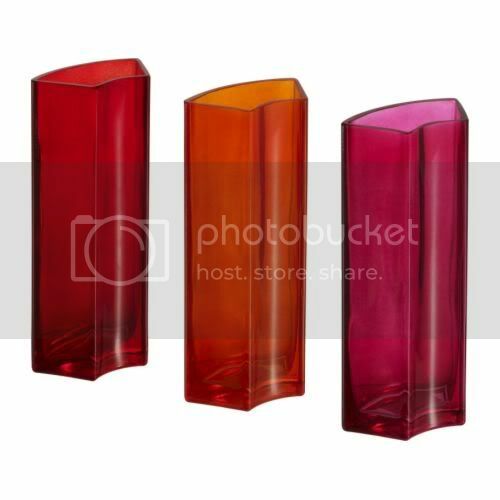 With these vases, you can group them together to make a circle, wavy line, or just use them alone. That, mixed with some of the resorts bouquets I think will be great! Also note: the vases are available in a blue and purple variation as well, in case anyone is interested. Tam yes I will be using glass vases I believe unless I can find a really good alternative!! these ideas are amazing, thank you! now i have to make some decisions! did anyone get married in mexico? i've heard it can be windy, my resort don't recommend candles. also, i heard you can't easily get hold of lemons in Mexico, as they have lemons, but they are the green kind (limes). Here is what I am playing around with!! I saw this online too & I think it looks great! just wondering, are you planning to bring everything with you? Most of the vases I've found have weighed a ton! I am finding that to be a problem too.. everything I want to bring either weighs a ton or is really fragile. 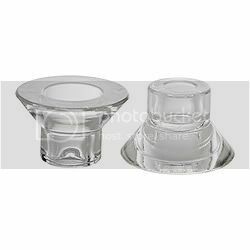 I have decided on a tealight glass trio sitting on metal/silver charger plates with white table clothes and black table runners. Then if I can find it, hot pink (shiny) confetti around the charger plate. I will post a picture once I get it set up and figure out how! Also, I will surround them with bright pink flower petals to add some color before the sun goes down. PVBride, I LOVE this idea with the greenery! Ok stupid question, how do you get the flowers to sink? 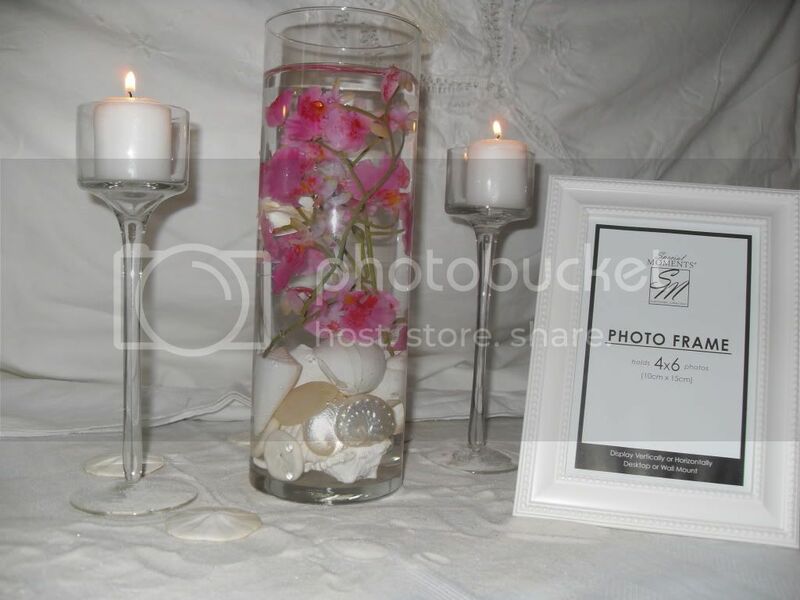 I have square glass vases and I want to do the drowning flowers. 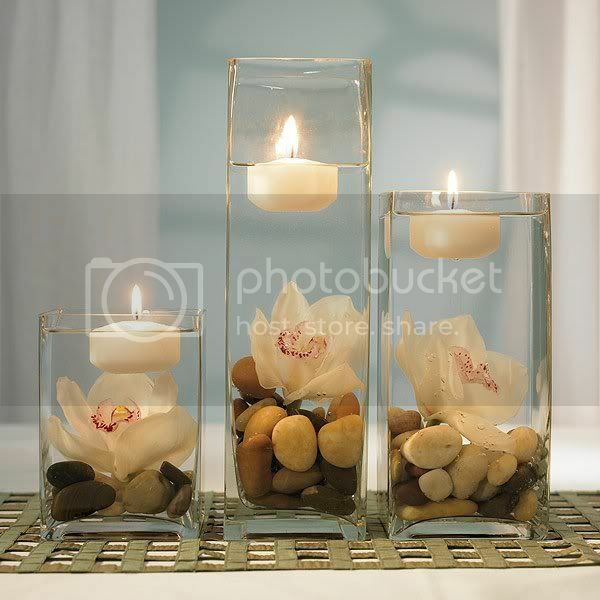 Any way to do this without using floating candles to hold them down? Thanks!